SONICAN'S BLOG: OPENING SOON IN THE CAPITAL OF LAGOS CITY JOASSYCA...: OPENING SOON IN THE CAPITAL OF LAGOS CITY JOASSYCAN PRODUCTIONS COMPANY. COOPERATE OFFICE #TEAMJPCCAN #QC. 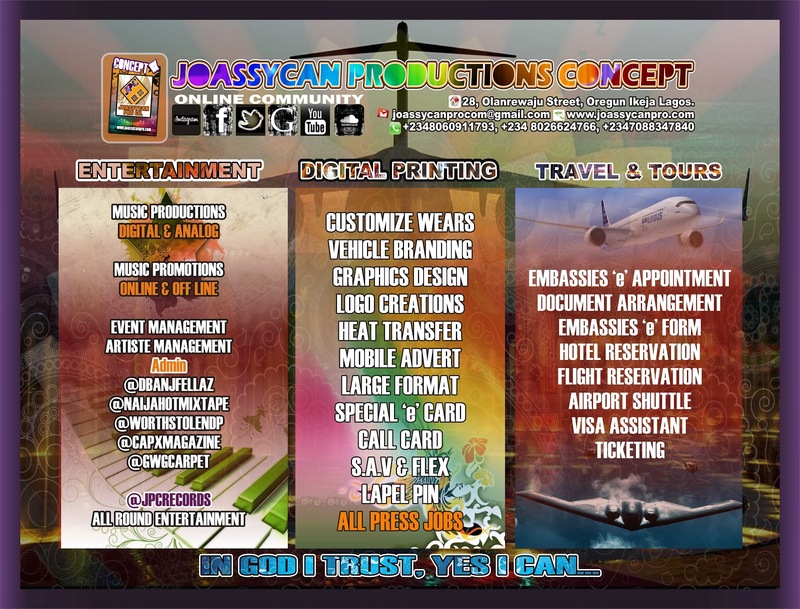 watch out for Joassycan Productions Company Cooperate office located at 28 Olanrewaju Street, Oregun Ikeja Lagos. the company is presently under Construction and this will last for two weeks. stay cool for the update. from the table of the CEO JPC.